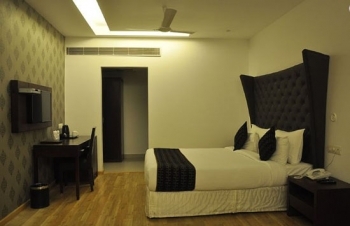 Hotel Ananya Regency is a four star hotel in Kashipur that has a mission of providing excellent hospitality to its guests. The hotel is known for its warm, personalized service and its transparency. The hotel understands its guests and provides best services to them. All accommodations feature best amenities to ensure comfort of its guests. If you are looking for a way to unwind after a busy day, we have arrangements for your entertainment with top-class recreational facilities such as garden, children playground etc. Excellent location and superb facilities makes Ananya Regency the perfect for you to enjoy your stay in Kashipur. Some of the nearby tourist destinations in Kashipur are Moteshwar Mahadev temple, Drona Sagar Lake, Nankana Sahib Gurudwara, IIM Kashipur, Garjiya Devi Temple, Seeta Bani Temple, Jim Corbett National Park and the Corbett Waterfalls. You can enjoy movies and do shopping at the Spectrum Mall and Sun City Cinema. The hotel is located on Ramnagar road, near railway crossing, at a distance of 450 m from Kumaon Colony bus stop and only at a distance of 58 m from RK Hospital, Kashipur. The hotel offers 3 categories of rooms; Deluxe, Premium/Superior ad Suites with required amenities like AC, TV, Telephone etc. Experience the taste of Chinese, Mughlai and Continental cuisines at INDYAKEE Restaurant. You can view the lush green lawn while taking Breakfast, Lunch or Dinner at the restaurant. The hotel never compromise with quality, so you get the best meals at the restaurant. - 24 hour front desk, room service, laundry service, Bicycle rental, car hire, tours. - Business center, coffee shop, luggage storage, wi-fi in rooms and public areas. - Lockers, safety deposit boxes, smoking area, Parking, currency exchange, meeting, executive floors, business center. - Facilities for disabled persons, elevators, restaurent, coffee shop. Parties, corporate get togethers, seminars and meetings can be organised at Big Dining halls (250-300 pax) and Banquet halls (550 pax), front and back lawn of Ananya Regency hotel. Excursions to city of lakes Nainital, Jim Corbett National Park, Girija Temple and Dhangadi Museum may be also organized. By Air : Nearest airport to Kashipur is Pantnagar Airport, at a distance of 68 kms. Flights to Pantnagar are available from Delhi on Monday, Wednesday and Friday. You can book a taxi to cover remaining distance of 68 kms. By Train : Udham Singh Nagar Railway station is the nearest railway station to Kashipur at a distance of 2 kms. You can board trains to Udhamsingh Nagar and board a taxi to reach Kashipur. 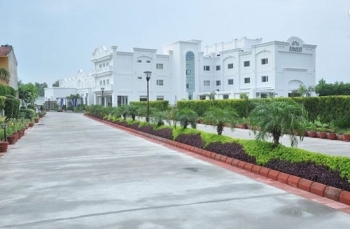 By Road : Kashipur is a well connected destination by motorable roads to many parts of North India. You can board a bus for Kashipur from Delhi(220 kms), Haridwar(177 kms), Dehradun(238 kms). You can book a taxi also to reach Kashipur.